Gutenberg’s Europe. The Book and the Invention of Western Modernity. Frédéric Barbier, Cambridge, Polity Press, 312 pages, ill., index, novembre 2016. Édition originale en français : L’Europe de Gutenberg. Le livre et l’invention de la modernité occidentale, Paris, éditions Belin, novembre 2006 (Collection « Histoire et Société »). Major transformations in society are always accompanied by parallel transformations in systems of social communication what we call the media. 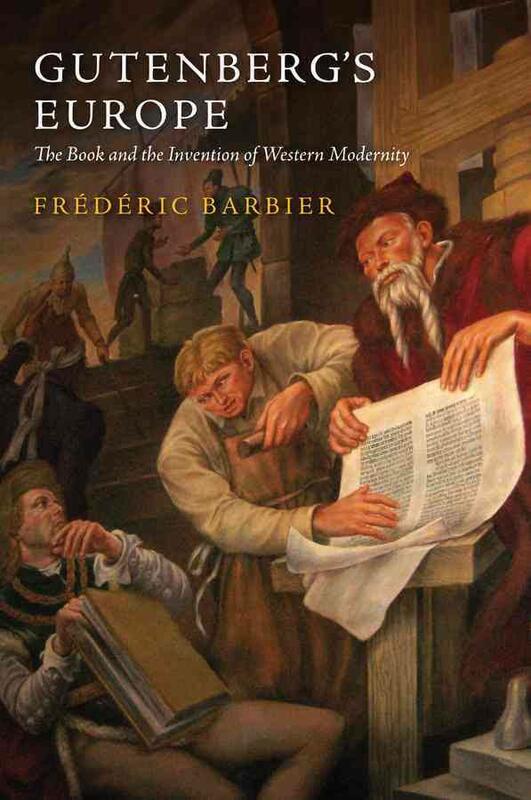 In this book, historian Frédéric Barbier provides an important new economic, political and social analysis of the first great ’media revolution’ in the West : Gutenberg s invention of the printing press in the mid fifteenth century. In great detail and with a wealth of historical evidence, Barbier charts the developments in manuscript culture in the twelfth and thirteenth centuries, and shows how the steadily increasing need for written documents initiated the processes of change which culminated with Gutenberg. The fifteenth century is presented as the ’age of start-ups’ when investment and research into technologies that were new at the time, including the printing press, flourished. Tracing the developments through the sixteenth century, Barbier analyses the principal features of this first media revolution : the growth of technology, the organization of the modern literary sector, the development of surveillance and censorship and the invention of the process of ’mediatization’. He offers a rich variety of examples from cities all over Europe, as well as looking at the evolution of print media in China and Korea. This insightful re-interpretation of the Gutenberg revolution also looks beyond the specific historical context to draw connections between the advent of print in the Rhine Valley ( paper valley ) and our own modern digital revolution. It will be of great interest to students and scholars of early modern history, of literature and the media, and will appeal to anyone interested in what remains one of the greatest cultural revolutions of all time. "The great strength of this book is that it roots Gutenberg s invention so firmly in the mediaeval craft society from which it emerged. Gutenberg was able to draw on a range of pre-existing techniques and developing markets ; without these transformations, so meticulously explored here, the print revolution might have been still-born."